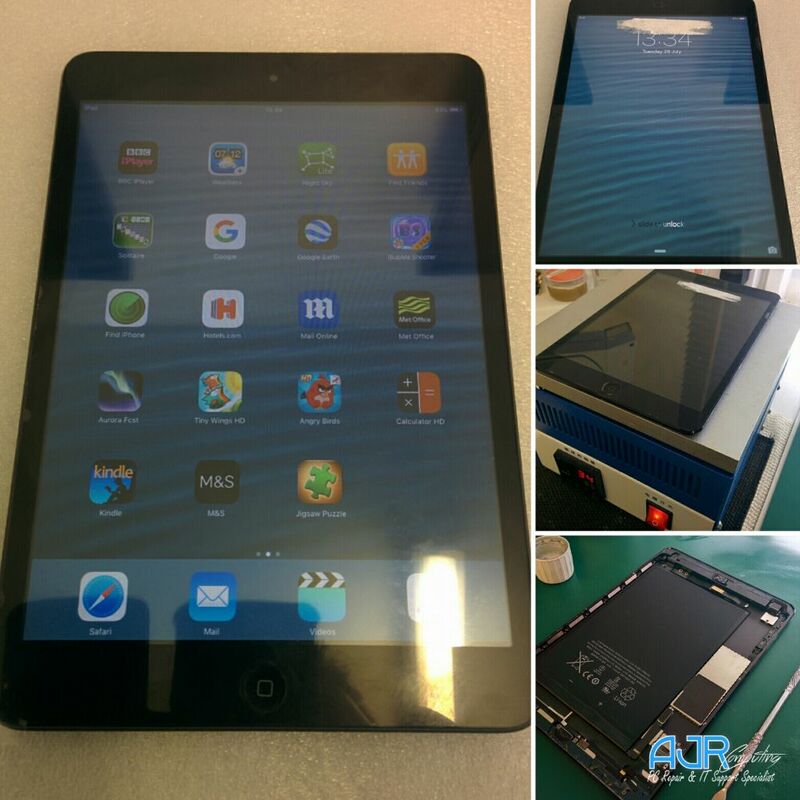 Need specialist Apple iPad Repair in Rotherham South Yorkshire? 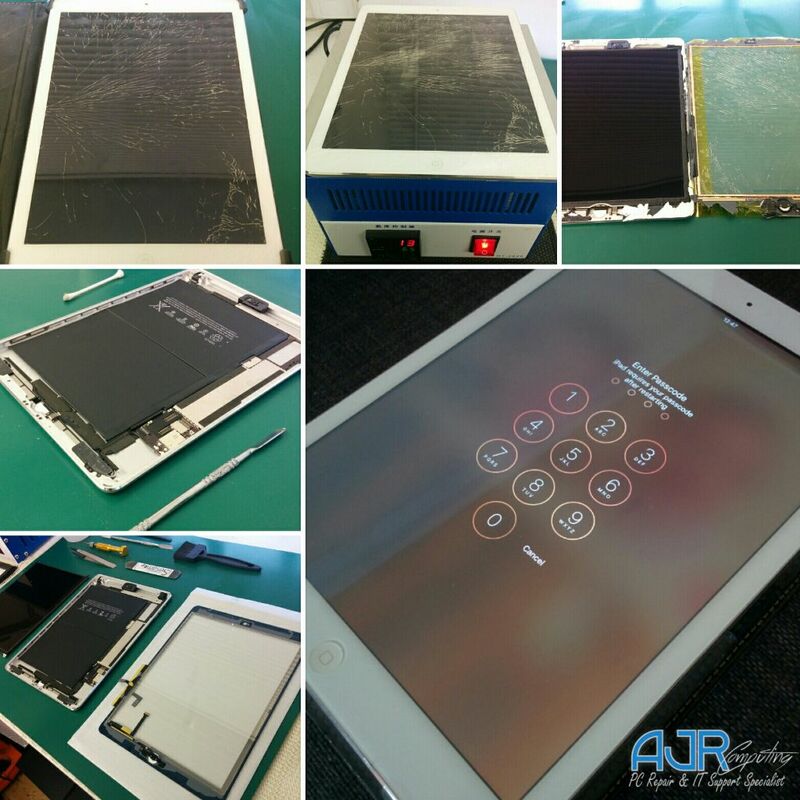 Tablets iPads in particular are fast becoming as essential as a mobile phone – whether it be for work or pleasure, we offer a complete iPad Repair service and can fix any problems you may have with it. 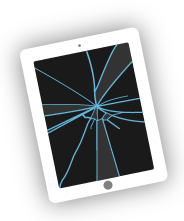 Our friendly, helpful technicians will be able to access your problem, offer a solution, and most importantly quote you a price based around our easy-to-understand fixed-price labour charges. 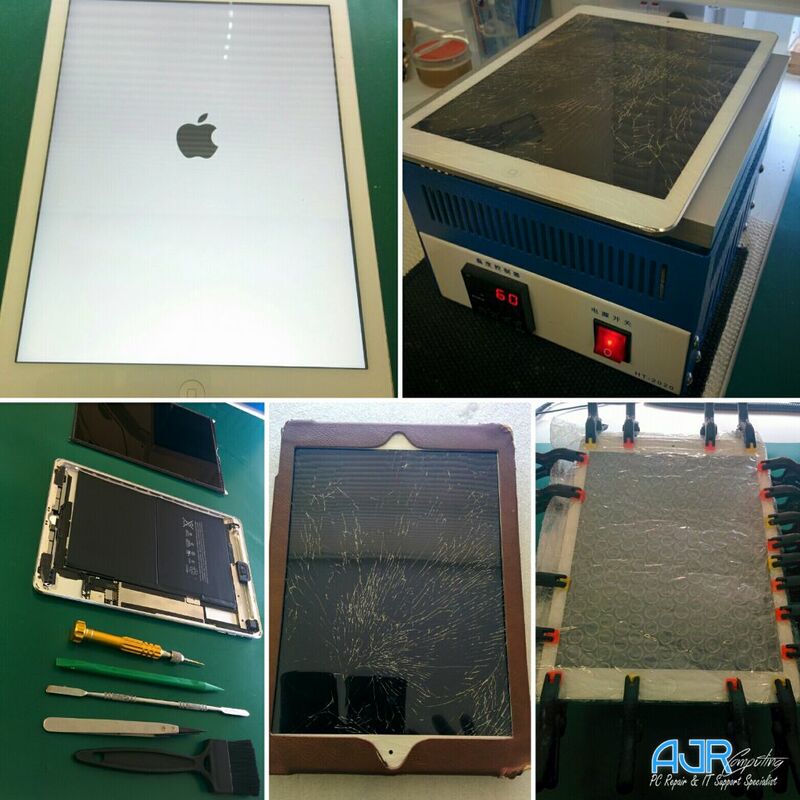 If you decide to go ahead with the tablet repair, we will get your iPad repaired quickly, give it a healthcheck and then let you know its ready to be returned to you. 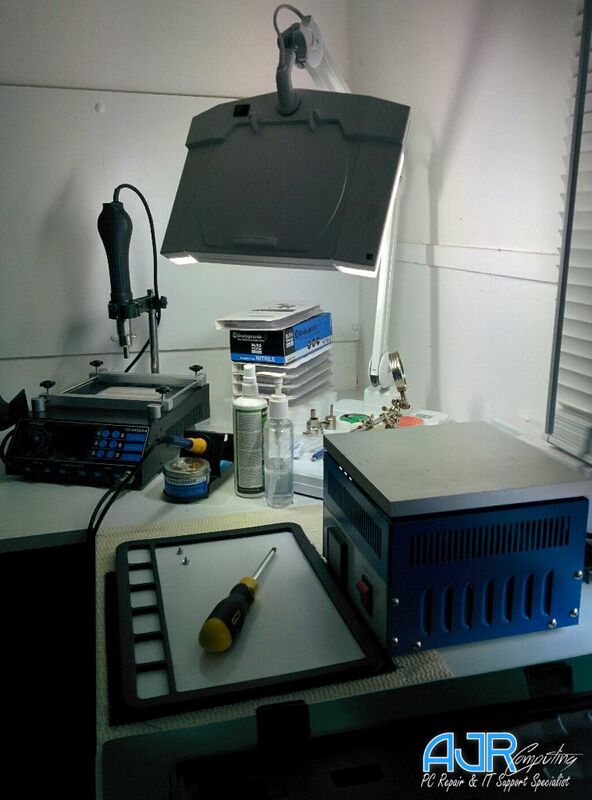 We don’t believe in lengthy waiting times or expensive “Queue Jump” services – we treat every repair with the utmost priority and always aim to get your problem solved on a same day basis but sometimes it it may be al little longer within 24 – 48 hours in some cases. 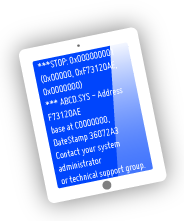 We’re proud of our prompt service! 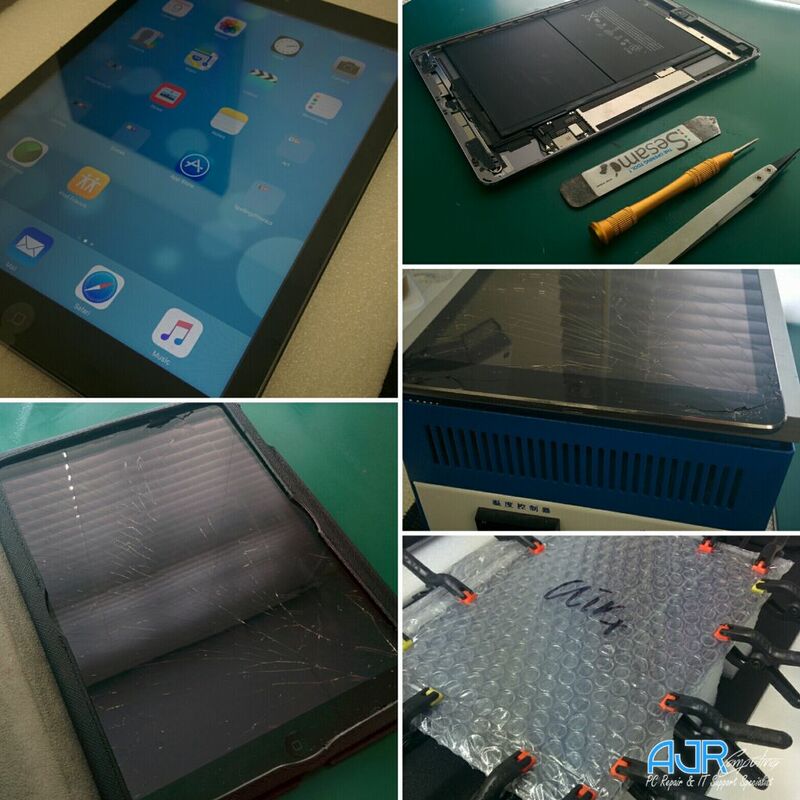 Smashed your front glass screen know as the digitiser, broken or faulty LCD panel AJR can fix this easily in no time. 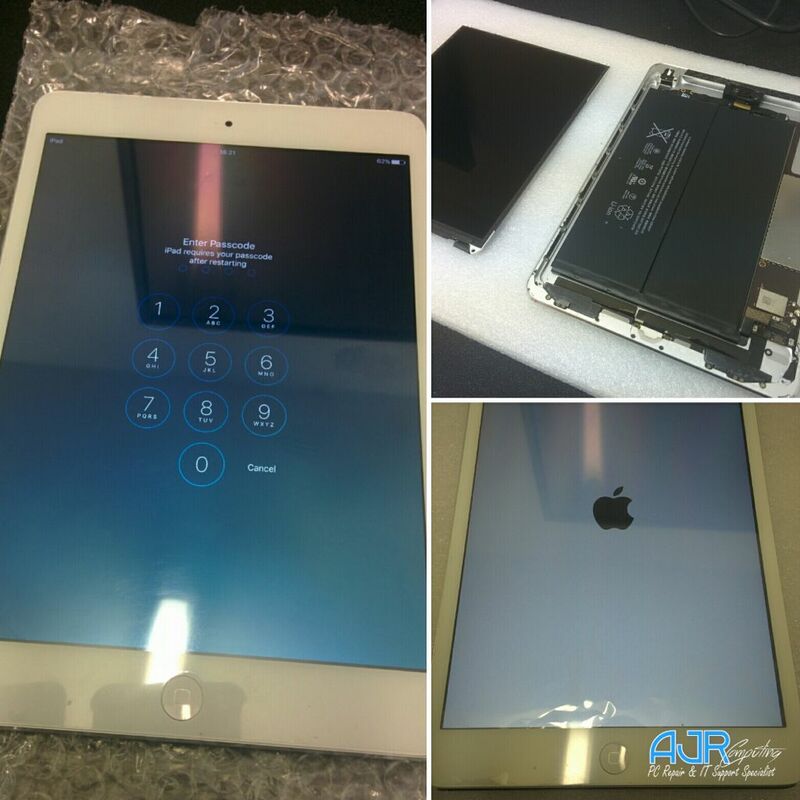 All repairs will be performed by Apple repair specialists. 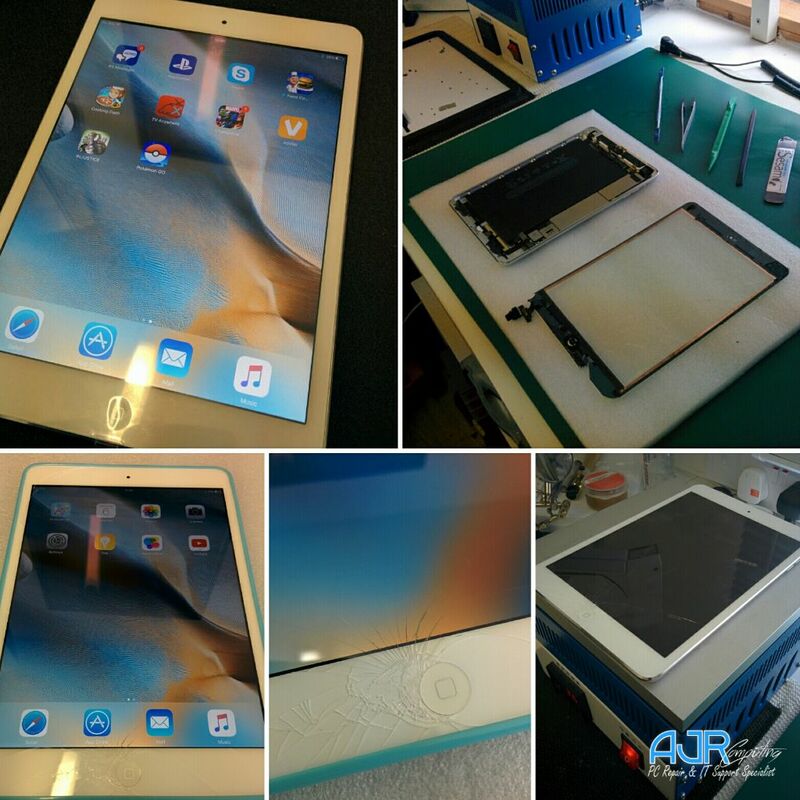 AJR only fit Genuine Apple OEM Parts with a part warranty, We have all parts in stock and buy in large quantities to offer same day repair. 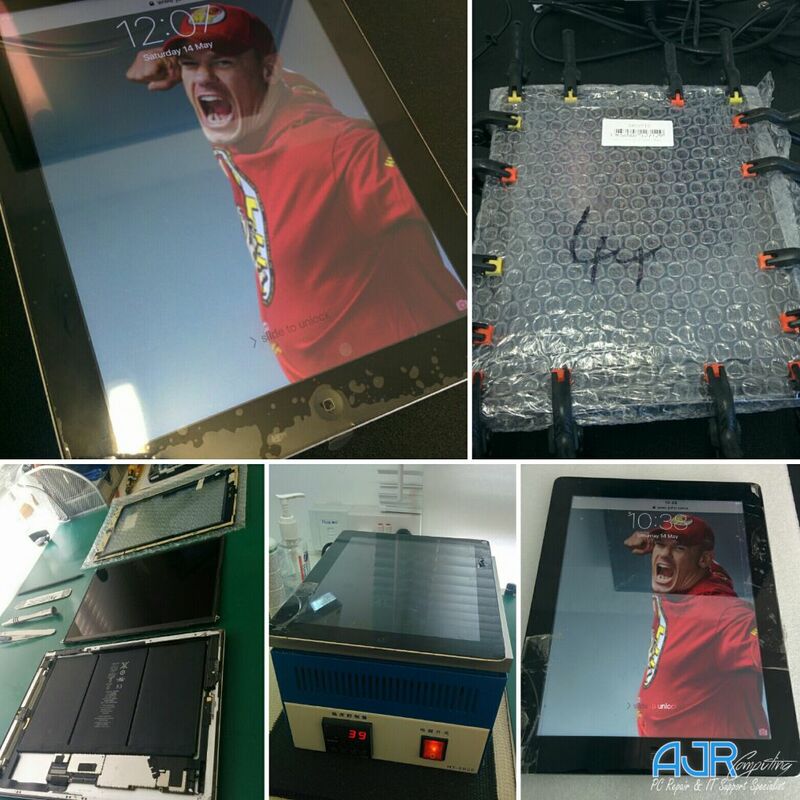 We also repair any damage to corners and clean inside the device, all digitisers come with new home buttons. 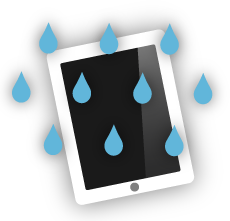 It's not been your day so far and you've just dropped your Ipad into water. 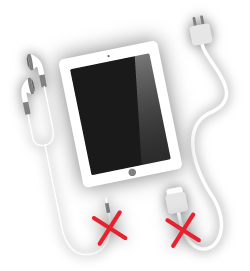 Power it off immediately. 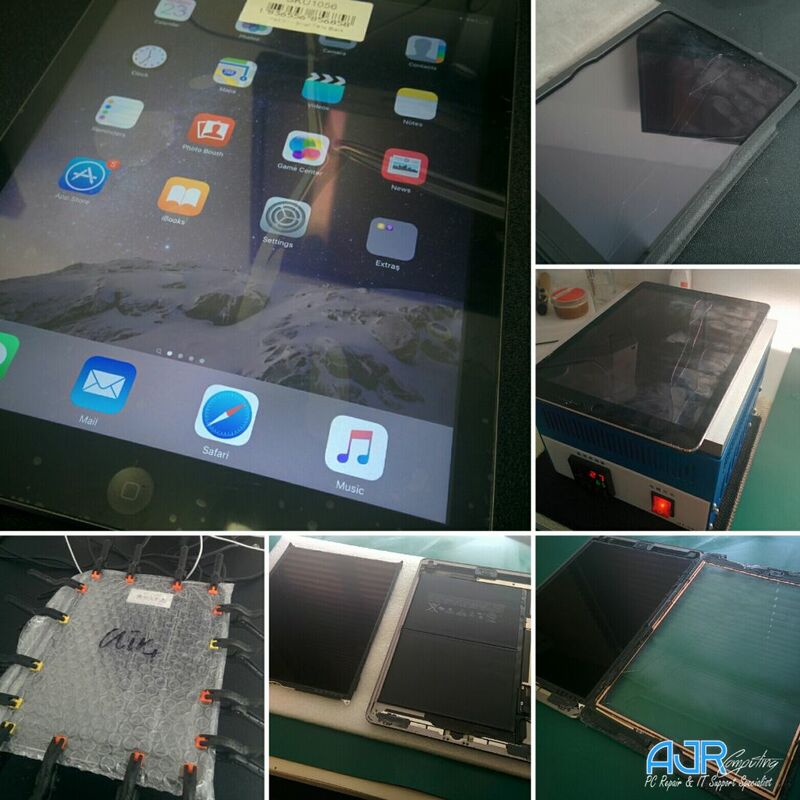 Dry the outside of the device and then come to see AJR. 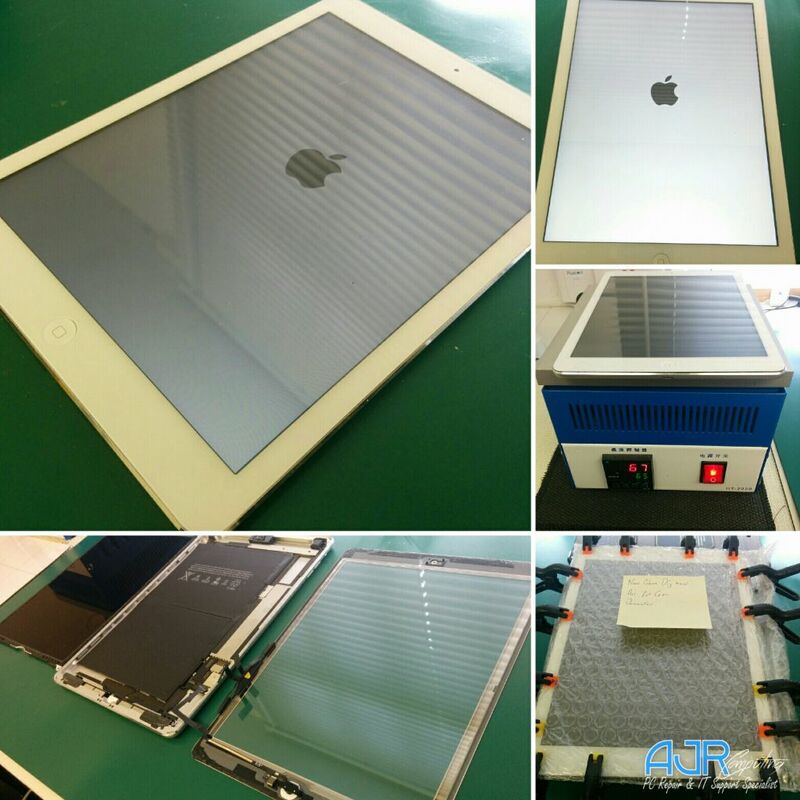 We will take care of the rest.. 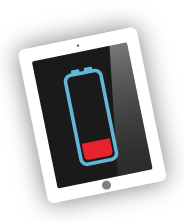 Your Ipad battery doesn?t hold its charge!!! 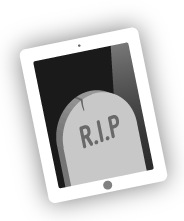 The battery needs to be changed which will allow you to enjoy your device for much longer. 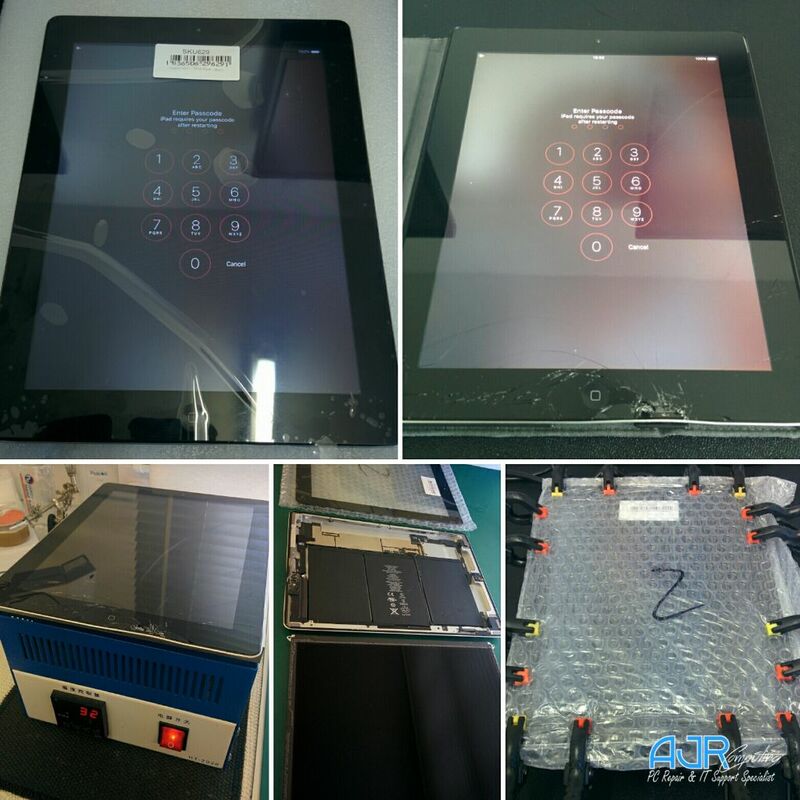 When your faced with an iPad that will not turn on, you may think your iPad is broken and that you're going to need to buy a new one but there are a lot of things we can try to fix your iPad. 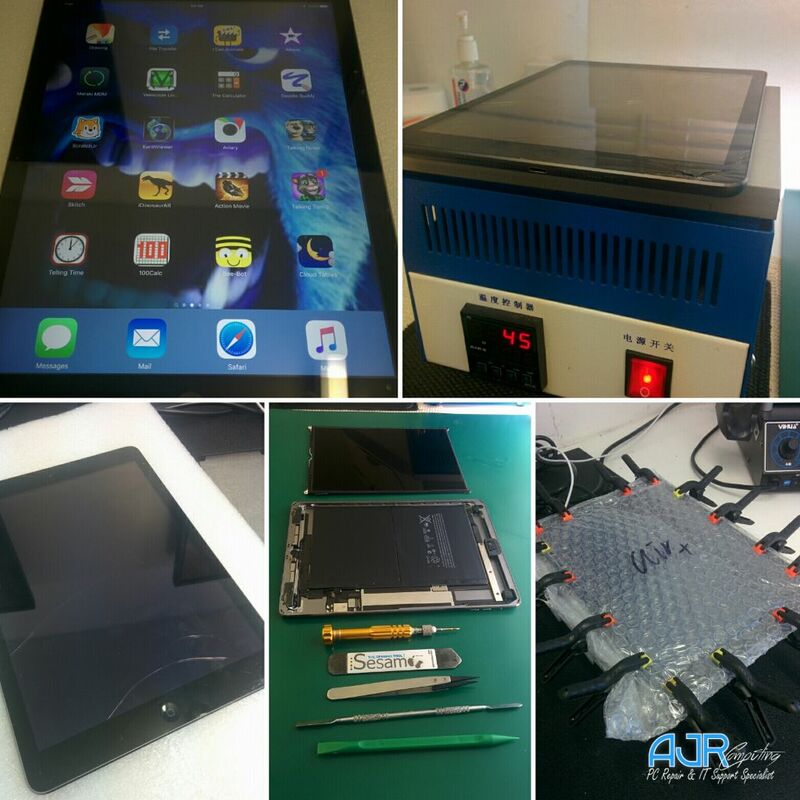 If you have got a different iPad problem or repair that you need carrying out but its not on the list, don’t panic – there’s no need to go elsewhere – speak to AJR first and we’ll be able to tell you how we’re able to help.